Should Laptops and Mobile Devices be Used in the Classroom? To those over the age of 30 or so, the days when parents worried over whether kids were spending too much time in front of the TV must seem like a quaint relic. Children are now continually attached to mobile devices, such as smartphones and iPads, from a very young age. It's become normal to have an internet-connected screen of some sort at your disposal at all times. This new state of affairs has created something of a dilemma for schools. Should they embrace constant access to mobile devices as the "new normal" and incorporate them into the classroom? Or, do the potential negatives outweigh the positives? There are points to be made on both sides of the debate. Backed by the federal government's Digital Education Revolution program, which provides $2.4 billion in funding for classroom technology initiatives, trial programs have been held throughout the country since 2010. Supporters point to various specific successes as a result of these programs. For example, a 2015 study conducted by Griffith University (published in the Journal of Early Childhood Literacy) found that tablets were particularly beneficial to very young children in the early stages of learning how to write. Studies of learning outcomes in older students have been very mixed, to the point that the entire body of research is still inconclusive. Some studies find that all types of students suffer some level of distraction when phones and tablets are allowed in the classroom. Other studies find that low-achieving students are disproportionately distracted. Learning outcomes aren't the only concern, however. There is also the cost of the devices to consider. Either tax money will have to be used to supply devices to the classroom, or students will have to bring them from home. Digital education programs have tended toward the latter solution, emphasising a BYOD (Bring Your Own Device) approach in classrooms. BYOD programs have been controversial, to say the least. The first and most important consideration is the cost of the devices. 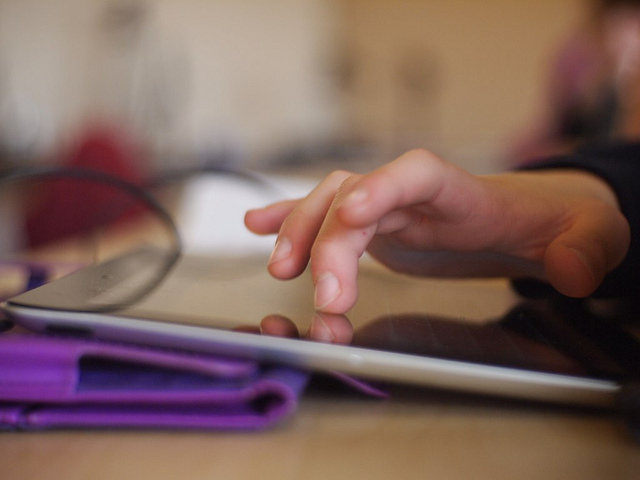 Schools tend to require iPads due to their security and standardisation. However, they are also a "premium" tablet, and the newer models are generally among the more expensive tablets on the market. Critics also worry that BYOD programs can reinforce a sense of inequality in the classroom. Students from lower-income households may be singled out for not having devices, as sometimes happens when they do not have trendy clothing or shoes. They might also struggle to keep up with homework that requires use of the device if they do not have a regular internet connection available at home. The adoption of tablets and laptops also puts an added technological burden on the schools. One consistent finding of studies to date is that devices in classrooms are only effective if the instructor is using them effectively. Schools face many technical hurdles in implementing a standard program that runs on all devices, ensuring the network is always functioning properly and providing enough bandwidth. There is also the issue of getting instructors trained up and competent with the technology. The ubiquity of touchscreens and internet connections may well represent an evolution in the way children learn. It may also represent a crutch that serves to distract more than educate, and that ruins attention spans when a device is not present. The question is certainly far from settled. In the absence of a significant long-term body of evidence, the safest thing to say at present is that mobile devices don't appear to be a one-size-fits-all answer for classrooms just yet.